A folding toilet frame and one piece plastic seat with metal sub-chassis frame that clips onto the frame. 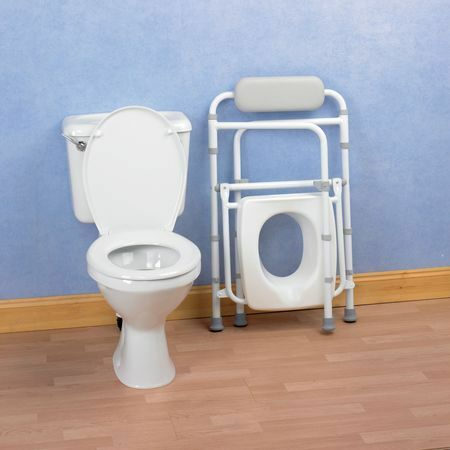 A flame retardant padded back rest has been added for added comfort. 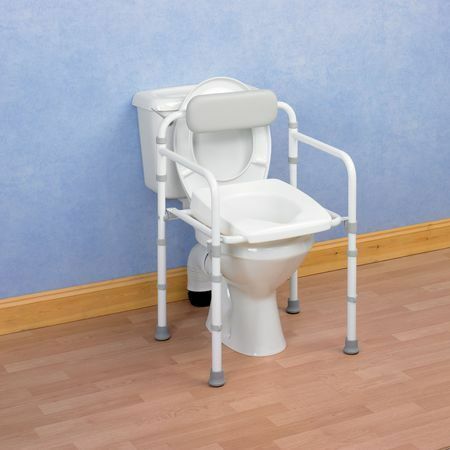 The legs are height adjustable and the seat has a cut away for personal hygiene.